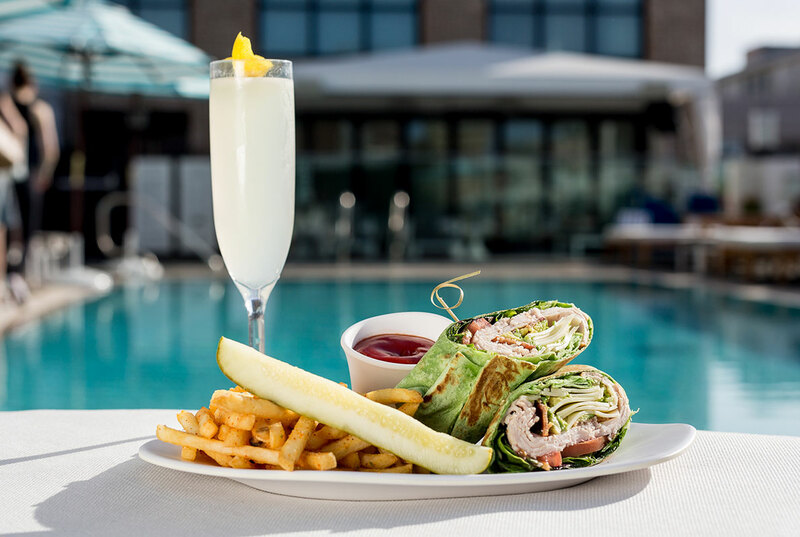 Here at the Pool House, we are known throughout the San Diego area for our stunning rooftop pool deck, our over-the-top parties and our delicious menu of fresh-made cocktails. However, at The Pool House, we also have so much more. 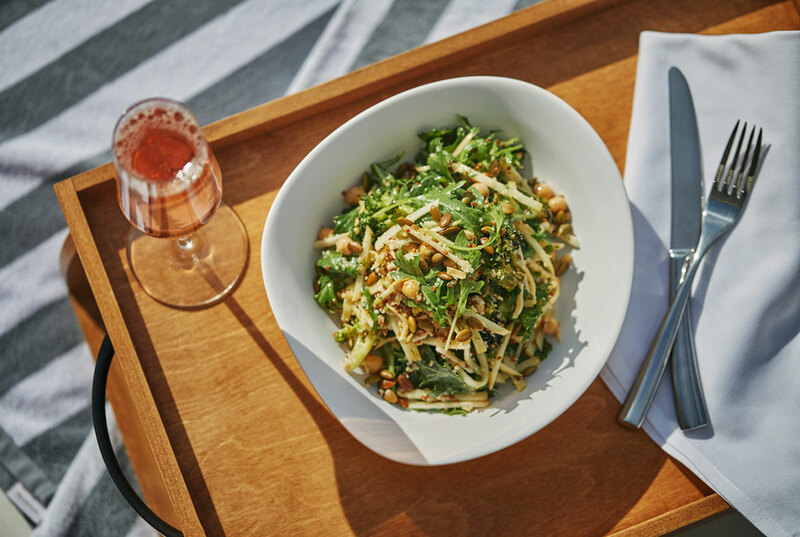 Did you know that we also have some of our favorite food items from our sister restaurant Lionfish (also located in the Pendry Hotel) available for you to enjoy poolside whenever you come have lunch with us? Crispy Rock Shrimp- This is a great dish to enjoy on your own or to share as an appetizer. This flavorful crispy rock shrimp is battered, fried and served with a Japanese style aioli. It will have you feeling like you have been transported to a tropical island as you sit poolside and enjoy this fresh shrimp in style. 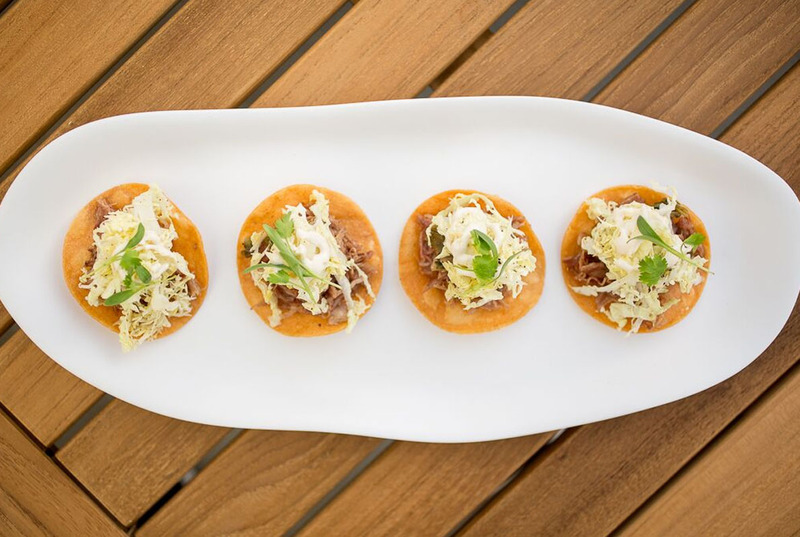 Duck Confit Tostadas- Looking for something from South-of-the-Border, our Duck Confit Tostadas may just fit the bill. Made with Foi Gras, charred scallions and savory cabbage, this is a delicious, high-end take on a Mexican classic. This is another dish that may be great for sharing, but one you may also just want to enjoy all on your own. Big-Eye Tuna Pizza- There are regular pizzas and then there are decadent Lionfish pizzas. The Big-Eye Tuna Pizza is one that will have you reaching for slice after slice. 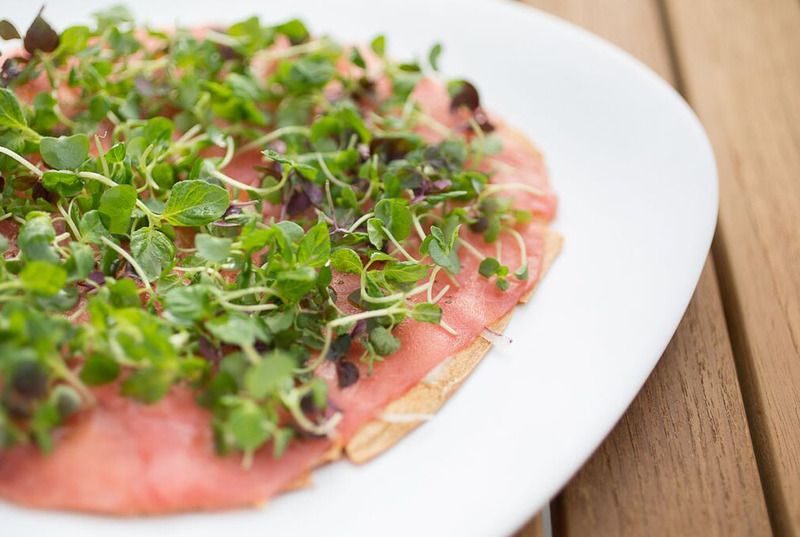 Made with red onions, micro shiso, truffle mustard and of course fresh tuna, you have to taste it to believe how good this is. 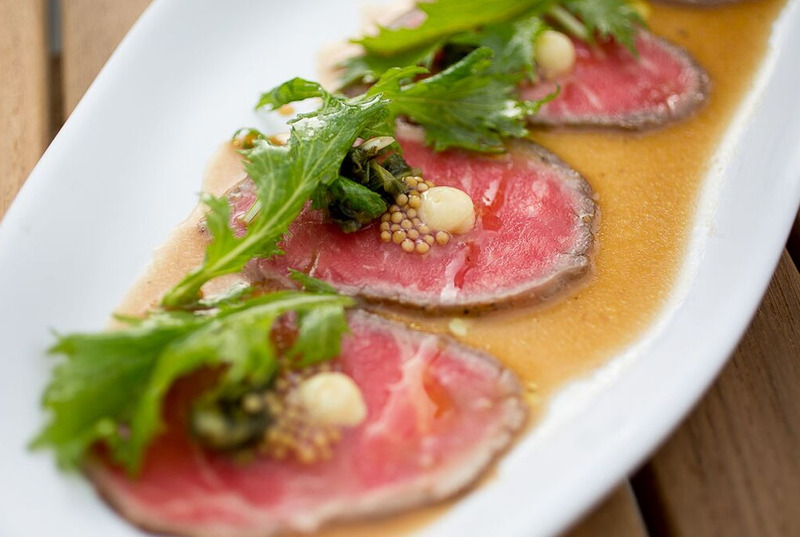 NY Steak Tataki- If you are in the mood for some mouth-watering goodness, then our NY Steak Tataki is just what you have been looking for. It isn’t just fresh-prepared and filled with flavor, but it comes with Lionfish’s famous Beef Fat Ailoi. 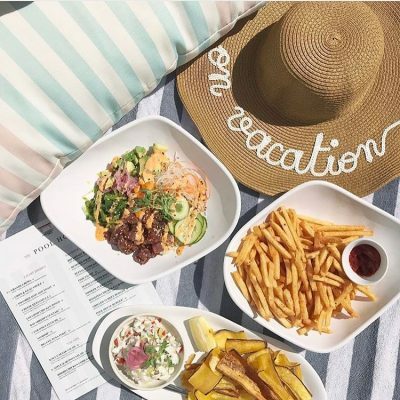 Now that we have your mouth watering, it is time to head to Pool House to enjoy stunning views, the city’s best pool deck and these delicious entrees from San Diego’s own JoJo Ruiz. Make sure to bring your appetite for these Lionfish favorites and we will see you on the pool deck.